The Clothesline is a manipulatable number line that makes the facilitation of class discourse on number sense much more efficient and effective. The Clothesline is dynamic, meaning that the “benchmark” numbers may be adjusted when needed, as well as the values that are placed on the line. 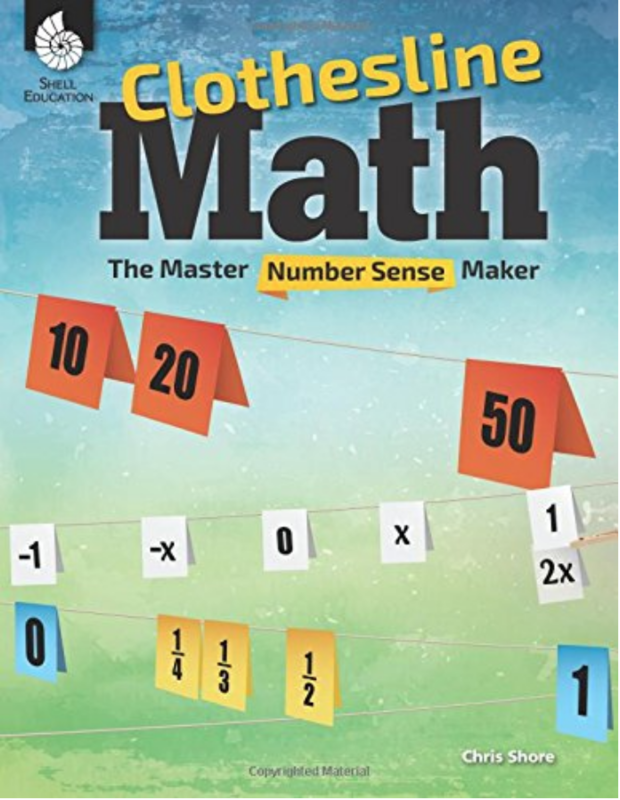 My friend and colleague, Tim McCaffery of Fontana Unified says it best, “The Clothesline is the master number sense maker.” I couldn’t agree more. The greatest tool for teaching number sense is the number line. Unfortunately, this simple, powerful vehicle gets left behind in elementary grades. 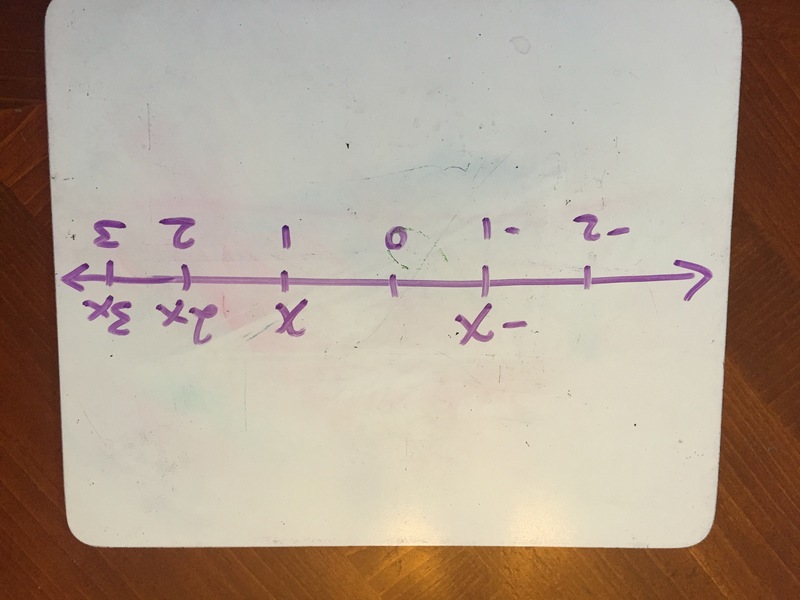 However, used properly throughout the secondary grades, the number line can develop deep, flexible number sense as well as conceptual understanding of variables, signed numbers, rules of exponents, algebraic expressions, geometric relationships, statistics and other key mathematical ideas. I, Chris Shore, did not invent the Clothesline activity. The idea has been around in various forms for a long time. I was inspired by a presentation of my friend, Kelli Wise (Kwisenbct@gmail.com), at Riverside County’s MaTHink Conference. 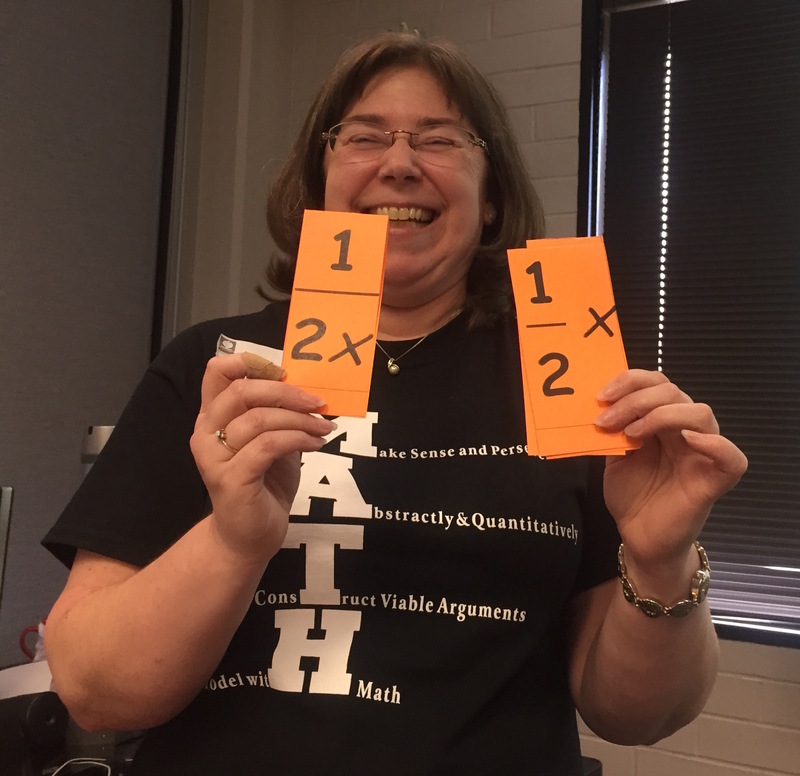 What I have done is expanded it’s use through many secondary topics for which the open number line has not been applied, and I created a structure, numerous “Card Sets,” and ideas for facilitating the Clothesline throughout the grade levels K-12, all in one easily accessible place. A student or a group are given a set of numbers or expressions (typically a set of 2 or 3) which are written on folded paper (cards) to be properly placed on a hanging number line (clothesline). Class discussion offers opportunity for students to clear up misconceptions, before committing the answer to static paper. It is really is that simple. This allows for students to record the final results of each card set. Leave the Benchmark numbers with a few blanks and a black marker next to the clothesline. Give a Card Set to a group of students to go place on the clothesline. I write these values on the board for all to see. The group may add, move, remove or create Benchmarks as needed. Students at their desks are creating their own number line on a lapboard. Ask the class if they agree with the group’s response on the clothesline. Discuss the disagreements and errors. Have all students record on the Answer Document once there is consensus. Another favorite routine, “Place or Correct,” is to give one card to one student, and have them place it on the Clothesline. I then hand the next card to another student and offer them to either place that card on the Clothesline OR change a card already on the Clothesline and give their card to another student in class. I especially like to do this when the number set is larger than 3 values. I have had several conversations with educators about how to keep the students actively engaged at their desks, while other students go to the clothesline at the front of the classroom. Coolest Idea: Roberto Encarnacion of Redlands suggested using restaurant number stands for each group, to form a mini-clothesline on the desks. Easier Idea: I briefly considered having students use a number line on paper with paper number tiles to manipulate. Simplest Idea: I finally settled on just using lapboards. This allows me great flexibility in introducing new number sets, without the chore of creating new number tags or tiles. The erasability of the student work, still allows for the dynamic quality of the activity. Students can experiment until they have it correct, before they record on their papers. Please send us your clothesline experiences and Card Set suggestions to journal@mathprojects.com. 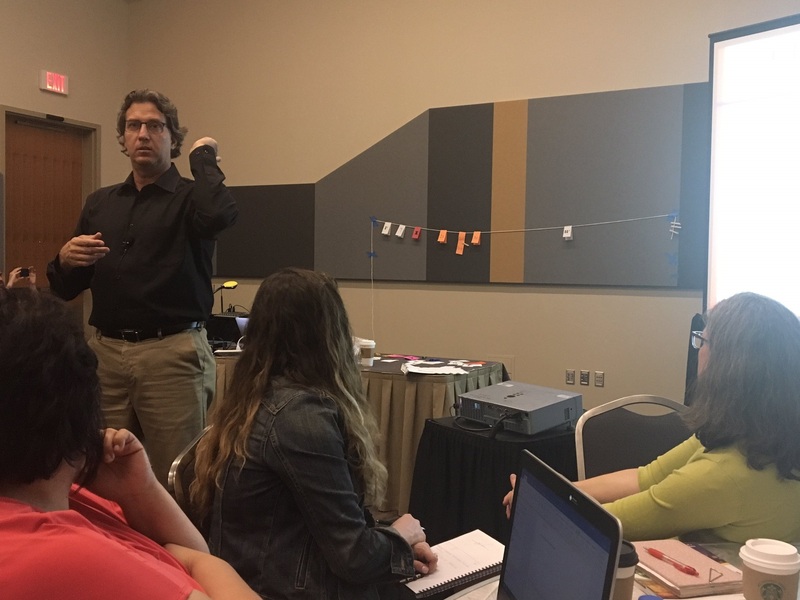 Chris Shore sharing the clothesline at the NCTM 2017.